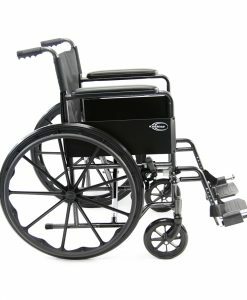 If you are looking for specific information about wheelchairs, you can browse through our wheelchair categories to find the ideal chair for your condition. If you are a caregiver and you need more information about a specific model, you can visit our F.A.Q page to find out more about our products. Which Karman wheelchair is right for me? Transport wheelchairs are the perfect choice for transporting someone to and from the places you would love to travel with. 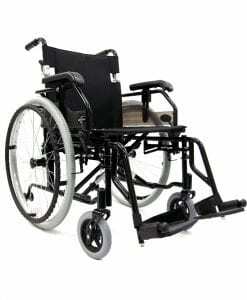 A transport wheelchair is generally narrower and lighter than a standard wheelchair, making it a good choice for tight obstacles and narrow entryways. There are differences between our high end Crash Tested S-ERGO series transport wheelchairs and also economy grade products. Some great choices include our ERGO LITE and S-115TP. We also have a wheelchair made for traveling, TV-10B. 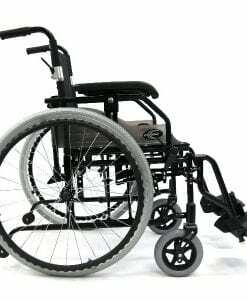 Most standard weight wheelchairs starts at 34 pounds, a standard weight wheelchair is a great option when you need a wheelchair that will be not be frequently used; generally 3 hours or less per day and with infrequent transfers. Our full selection is available from the most basic models with fixed legrests and armrests to wheelchairs that have optional elevating legrests and removable armrests. There are also models with optional accessories to enhance your wheelchair. Foam cushions and/or Gel Cushions provide for additional comfort. 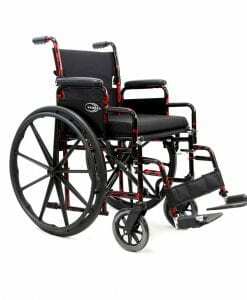 With weights ranging from 25-34 pounds, our lightweight wheelchair is a great choice when you need a wheelchair that is more frequently used, when you need special options, or when you have your heart set on a specific frame and/or upholstery color combination. 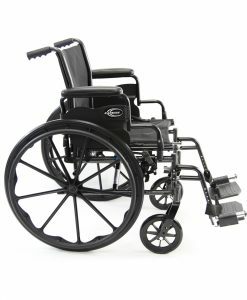 This category covers it all, with lightweight wheelchairs at competitive prices. 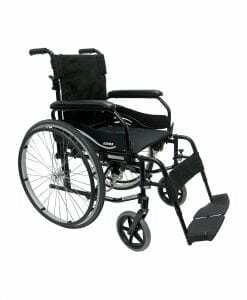 These wheelchairs offer more options and we typically recommend that a comparison be done with the next step up category which is our ultralight weight wheelchairs where the ultimate mobility equipment and features are at its very best. This is the category of wheelchairs where the best of the best resides. With wheelchair weights as low as 14.5 pounds and available in both S-ERGO and simply super lightweight models, an ultralight weight wheelchair is for the full-time user who demands performance and for those who want the lightest wheelchair possible for ease of self propel and transport. In this category, you will have a number of features never found on any competitors like standardize crash tests on S-ERGO models and tons of options and accessories not offered on other base categories in wheelchair options. Our ERGO ATX offers the finest in a combination of wheelchair manufacturing disciplines. These criterias includes but is not limited to maximum adjustability, rigidness, ultra lightweight, comfort, foldability, style and outstanding performance. Our Ultralightweight wheelchair category takes zero compromise with our R&D department pushing the latest manufacturing techniques and capabilities and transferring them to you right on the streets. A reclining back or otherwise known as a "high back" wheelchair is a great option for those who spend the majority of their time in a wheelchair as it offers more positions to recline. And a tilt wheelchair offers alternative positioning and pressure relief for those who are requiring further pressure relief for prolonged usage of a wheelchair. Both our categories have effectively reduced weight of traditional competitors so keep in mind when shopping on price. 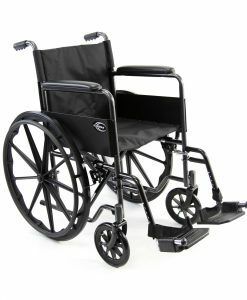 Our Bariatric Wheelchair has a maximum weight cap of 800 pounds, these heavy duty wheelchairs can accommodate nearly any user with a maximum seat width of 30" in width. Karman carries a full range of heavy duty wheelchairs, from economical bariatric transport wheelchairs, to complex highly-configurable / custom models. 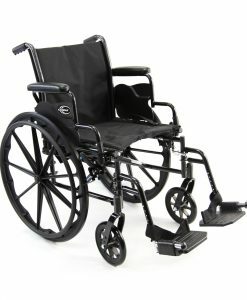 We also have the lightest weight bariatric wheelchair in the industry for its seat width and weight cap. Standing in a wheelchair is one of the most influential products we've designed and manufactured in our efforts to allow the mobility impaired to take their lives back into their hands. We didn't stop by just allowing people to stand in a wheelchair; we made it the most competitive price product in its category driving economy into everyday house holds. Read more on all benefits, funding sources, and finance options if you're interested in your wheelchair helping you to stand. What is the difference between an S-ERGO frame and traditional seating system? Our S-Shape Seating System offers many advantages over the standard manual wheelchair seat. Not only is pressure distributed more evenly across the legs and rear, it also offers a more stable seating surface and prevents forward slippage. The world’s first S-Shaped ergonomic seating developed specifically for comfort and ergonomics. With over 22 patents and launched as a Global Product, this unique product is capable of relieving pressure, reducing sliding and promoting good posture. All of our S-ERGO frames are CRASH TESTED. This challenge was met with Ultralight Weight, Ergonomics, Comfort, and Safety in mind and with an end product setting the bar for the highest of quality possible. Learn more optional cushions treated by AEIGIS® providing an anti-microbial coated seating system. Click on the following links and videos that goes in depth on AEIGIS® technology and don't forget to watch the video. It's complicated and technical, but to keep things simple, just know it's the best on the market and we're proud to feature it. CLICK HERE for video. All AEIGIS® cushions are machine washable and dry-able. Most can be easily removed without any tools. What is the advantage of T-6 Grade Aluminum versus other Aluminum or Steel? Pound for pound, 6061-T6 is stronger than some steel and definitely lighter. The fact is that this is simply a high strength metal that is also used in building Aircrafts. It provides a much higher strength to weight ratio transferring the benefits to the end user. It is a more expensive material, however, you deserve the best and we stand behind it. This is why our Limited Lifetime Warranty is standard on all S-ERGO frames. Does ISO 7176-19 Crash Tested S-ERGO Frames make a difference? YES, building a wheelchair is not just welding frames and assembling it together. Finding the most effective geometries and weld methods is truly an art. We never sacrifice safety, in fact, we excel at it as one of the only manufactures that makes this a standard practice found in all S-ERGO frames. Question: What is the difference between ANSI/RESNA WC19 and ISO 7176/19? 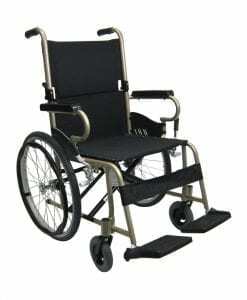 The simple answer to this question is that compliance of a wheelchair with ANSI/RESNA WC19 (hereafter referred to as WC19) implies compliance with ISO 7176-19 (hereafter referred to as 7176-19) with two minor exceptions regarding a) the criteria for rearward head excursion of the test dummy and b) the allowed lateral spacing of wheelchair securement points, but the opposite is not true. However, before answering this question in greater detail, it should be emphasized that ANSI/RESNA WC19 (WC19) and ISO 7176/19 were developed together and with significant coordination and correspondence between the Working Group of the RESNA Wheelchair Standards Committee known as the Subcommittee on Wheelchairs and Transportation (SOWHAT) and the Working Group 6 of ISO TC73 SC1. In fact, much of the leadership and authorship for the two standards came from the same individuals. Although there was considerable exchange of information and discussion between the two standard-development groups, and every effort was made to harmonize the two standards during their nearly simultaneous developments, there are some differences in the two documents. These differences are primarily with regard to a more limited scope of wheelchair sizes covered by ISO 7176-19, which currently does not provide for testing of pediatric wheelchairs, and with regard to design and performance requirements other than the 48-kph, 20-g frontal impact test. There is also one primary difference in the method for conducting the frontal impact test in that WC19 specifies and, in fact, requires the use of a surrogate four-point strap-type tie down to secure the wheelchair on the sled platform. By comparison, ISO 7176-19 requires that the wheelchair be secured by a four-point strap-type tie down that complies with the frontal impact test of ISO 10542, which can be either a commercial tie down or the surrogate tie down. The standards differ in scope in that ISO 7176-19 currently only applies to adult wheelchairs for which testing is conducted using a 168-lb anthropomorphic test device (ATD), better known as a midsize adult male crash-test dummy. WC19 also applies to pediatric wheelchairs for children six-years-old and above, and thus provides for conducting the frontal impact test using other appropriate size ATDs that are near, but under, the upper weight range for the design capacity of the wheelchair. Thus, a pediatric wheelchair can be tested to WC19 but it cannot officially be tested to 7176-19 at the present time. (Note that 7176-19 is currently being revised and the new version will include pediatric wheelchairs in the Scope). Both standards include the same design requirement with regard to the type and number of wheelchair securement points, in that both standards require that the wheelchair provide four securement points for securement using a four-point, strap-type tiedown that comply with the same structural geometry specifications. However, the standard differ with regard to the opening geometry such that WC19 is more restrictive. In particular, the securement-point opening for WC19 must be 50-to-60 mm in length and 25 to 30 mm in width, whereas the opening required by 7176-19 must be greater than 50 mm in length and greater than 25 mm in width. Thus, an opening that is larger than 60 mm in length and/or larger than 30 mm in width would comply with 7176-19 but not with WC19. All securement openings that comply with WC19 will, however, comply with 7176-19. The standards also specify that these securement points must be located within certain zones relative to each other and the ground. These zones are the same in the side view for the two standards but are different in the top view. WC19 currently allows the securement points to be within 100 mm of each other laterally but 7176-19 doesn't allow them to be closer than 250 mm. WC19 is, however, being revised and the lateral spacing requirements of WC19 will be the same as those in 7176-19 in the new version. 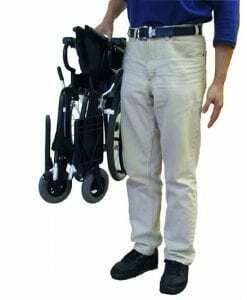 The primary difference in the design requirements of the two standards is that WC19 requires that a wheelchair provide the wheelchair occupant with the option of using a wheelchair-anchored lap belt and that a wheelchair-anchored lap belt be used instead of a vehicle-anchored lap belt in the frontal impact test. 7176-19 allows a wheelchair to provide for, and be crash tested with, a wheelchair-anchored lap belt, or even wheelchair-anchored lap and shoulder belts (as does WC19), but it does not require it. However, the design requirements for the wheelchair-anchored lap belt are the same in both standards. have overall dimensions when measured according to ANSI/RESNA WC-93 (the standard for maximum overall dimensions) such that the maximum length and width do not exceed 1300 mm by 700 mm, respectively. ISO 7176-19 does not place any limitations on wheelchair size, mass, or configuration regarding seating posture. Also, both standards include performance requirements for wheelchair-anchored belt restraints (when provided in 7176-19 and required by WC19) based on either ECE Reg. 16 or FMVSS 209 in 7176-19 and on FMVSS 209 in WC19. a test for wheelchair accommodation of vehicle-anchored belt restraints. With the exception of the clear-path/sharp-edge test, these additional tests are disclosure requirements, not pass/fail requirements, in that the wheelchair manufacturer must disclose the test results in their presale literature. The primary and most important performance requirement of both standards is satisfactory performance in a 48-kph, 20-g frontal impact test. As previously indicated, this test is conducted by securing the wheelchair on the sled platform using a surrogate four-point strap-type tiedown (S4PT) which his specified in Annex D of WC19. 7176-19 allows the test to be conducted using a commercial four-point strap-type tiedown that has been successfully tested to Annex A of ISO 10542-1 and 2. Since the S4PT meets this requirement, it can be used to secure the wheelchair in 7176-19 testing. Thus, a frontal impact test conducted in WC19 with a 76-kg ATD is also conducted in accordance with 7176-19. However, a frontal impact test that is conducted using a commercial four-point tiedown is not conducted in accordance with WC19. Section 5.3 of WC19 and Section 5.2 of 7176-19 specify the wheelchair performance criteria for the 48-kph frontal impact test of Annex A. As previously noted, the test methods are the same except for the allowance of a commercial four-point strap-type tiedown to secure the wheelchair in 7176-19 and the requirement to use a surrogate four-point, strap-type tiedown in WC19. Importantly, the primary pass/fail performance requirements, including the forward wheelchair and ATD excursion limits and signs of failure in primary load carrying components, are the same, even though they are formatted and/or worded somewhat differently in the two standards. WC19 requires that detachable seating systems must not separate from the wheelchair base frame at any attachment points, while 7176-19 is silent on this issue. WC19 requires that deformation of wheelchair securement points does not prevent disengagement of any tiedown hooks, while 7176-19 is silent on this. 7176-19 requires that removal of the ATD from the wheelchair after the test shall not require the use of tools (other than a hoist), while WC19 is silent on this point. WC19 does not allow the wheelchair to cause partial or complete failure of any part of the tiedown or restraint system, while 7176-19 is silent on this. The maximum allowed rearward head excursion in WC19 is 450 mm for the midsize adult male ATD while it is 400 mm in 7176-19. 7176-19 specifically states that locking mechanisms of tilt seating systems shall not show signs of failure after a test, while WC19 does not specifically refer to tilt locking mechanisms but rather includes this requirement under the requirement that "primary load carrying parts" shall not show signs of failure. The net result is that the performance criteria for the frontal-impact test in WC19 are generally greater than those for 7176-19 and, if the rearward head excursion of the ATD is less than 400 mm in a WC19 test, compliance with WC19 implies compliance with 7176-19. WC19 allows 450 mm of rearward head excursion for the midsize male adult ATD during rebound, whereas 7176-19 allows only 400 mm or rearward head excursion. a wheelchair that complies fully with WC19 also complies with 7176-19. The inverse of this statement is, however, is not true. That is, a wheelchair that complies with 7176-19 may not comply with WC19. Would I be able to wash my cushions? Yes - Most wheelchair cushions come with a removable shell that can be washed and dried by machine. For the AEIGIS® cushions, they may be entirely washed without removal of a shell. There are also replacement cushions that you may purchase once they get older and you want to purchase brand new ones. Click here - Warranty may differ dependent on the product type and category. Please note warranty policy and registrations methods available. What funding source is available to buy my wheelchair? Groups in your community such as Rotary clubs, Lions, etc. Disability groups such as MDA, MS Society, etc. For additional funding options, please visit www.abledata.com or talk to a dealer you can trust by visiting our Dealer Locator. Medicaid is a health program for eligible low-income parents, children, seniors, and people with disabilities. It is jointly funded by the states and federal government, and is managed by the states, with each state having its own set of guidelines for eligibility. Medicaid programs vary from state to state, but all states are required to offer a comprehensive set of services to meet Federal requirements for coverage of children’s health care (from birth to age 21) under their program called Early Periodic Screening, Diagnosis and Treatment (EPSDT). Because of EPSDT, Medicaid can be a good source of funding support for children who use wheelchairs. Please refer to http://www.cms.hhs.gov/MedicaidGenInfo/ for more detailed information. Medicare is the federally funded medical plan for Americans age 65 and over that covers medical expenses such as doctor's visits, hospital stays, drugs and other treatment. 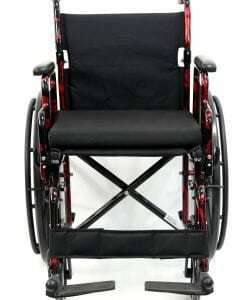 It is also an important source for funding wheelchairs and other durable medical equipment. Medicare Part B is the part of Medicare that pays for wheelchairs. When it comes to your wheelchair, consumers and rehabilitation technology suppliers must deal with the Durable Medical Equipment Regional Carrier that serves your state." Is My Karman Manual Wheelchair covered by my private insurance plan? Many wheelchairs are reimbursable by private and other insurance companies, but all policies are not the same. Check with your insurance carrier for information on what your policy covers, or contact your local DME (Durable Medical Equipment) provider and speak with their reimbursement specialist. If you have any problems with any "IN NETWORK" insurance companies and have a hard time, just contact us first. What is a Med Waiver? States may offer a variety of services to consumers under an HCBS waiver program and the number of services that can be provided is not limited. These programs may provide a combination of both traditional medical services (i.e. dental services, skilled nursing services) as well as non-medical services (i.e. respite, case management, environmental modifications). States have the discretion to choose the number of consumers to serve in a HCBS waiver program. Once approved by CMS, a state is held to the number of persons estimated in its application but has the flexibility to serve greater or fewer numbers of consumers by submitting an amendment to CMS for approval. The Federal government cannot determine eligibility for Medicaid, including waiver and demonstration projects. Each state has its own process and criteria for participation. If you are looking for information about how to apply for Medicaid, including waiver and demonstration programs in your state, please contact your state Medicaid agency." 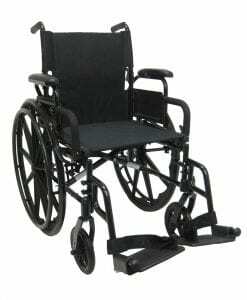 Will Medicare or Medicaid pay for my Karman Wheelchair? 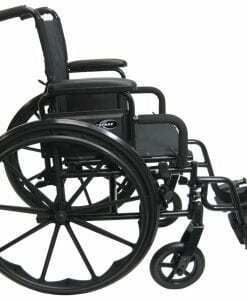 In the U.S., many wheelchairs are reimbursed by Medicare or Medicaid. Please ask your local DME provider for assistance and information on funding in your area. 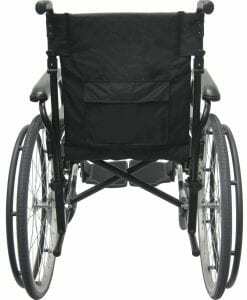 What is the medical billing code for Karman Manual Wheelchairs? Click here to see HCPCS codes. How do I become a new dealer? Just CLICK HERE and fill out the Dealer Application. Please make sure that your staff fully understand all terms and conditions when establishing a B2B relationship with Karman. This includes all policies that we have listed on our website and can be found on lower end of our website. There are many resources that can help you with HCPCS codes, order forms, marketing campaigns etc. How do I get on the dealer locator? First you must be an active dealer. If you are already set up, please send all information to dealer@karmanhealthcare.com for processing. We would be more than happy to list you and also ensure that you have the most updated information for our service network. Please keep us informed on any stocked items you have by sending stock updates to the same email. Thank you. What Karman wheelchair models should I stock? We recommend that you speak with your sales representative first. Please contact us at 626-581-2235 and discuss with your sales representative on which matching models would best serve your demographic and business model. If you are in an under serviced geography, then we suggest that that you stock both our best sellers and economy models as well to provide a wider spectrum of products well representing our brand. As a dealer how do I place an order? What is the dimensions of a wheelchair? Each product landing page has a full resource of information from product specs, shipping dimensions, and even UPC Codes. Here is a list of all dimensions printable all in one document. CLICK HERE. How do I best get to know the entire Karman Wheelchair Line up?